I think of our kids birth families every day. Our older daughter has her first moms lips and sparkling eyes; our son and younger daughter have their first moms nose. I wonder at what else they share. Maybe our older daughters spirited personality is genetic, maybe our son and younger daughter are just naturally easygoing and mischievous. I know theyll wonder too. Writer-comedienne Alison Larkins semi-autobiographical novel The English American (Simon & Schuster, 2008) begins from this place of wondering, at the tipping point of curiosity when twenty-eight year old adoptee Pippa Dunn embarks on the search for and reunion with her birth family. An American-born baby adopted by a British family and raised in England, Pippas spent her whole life with a family thats loved her and given her a wonderful upbringing. But never quite fitting in with her family and her adoptive country, and finding herself in a certain amount personal and professional paralysis, Pippa decides to leave England (with her adoptive parents full blessing, which they assure her she doesnt need, but which she actually deeply needs), go to America, and meet the parents that gave her birth. The reader follows Larkins protagonist on the authentically-rendered rollercoaster stages of reunion. In America, Pippa discovers that her birth parents are just as she dreamed of them: a beautiful, artistic free-spirit, and a handsome, politically-active businessman. Theyre so much like her! And they love her! But, theyre not without their flaws. While Pippa struggles to survive the intense stress of losing her old life and sense of self, the non-adoption chaos around her doesnt cease: she considers new career opportunities, fosters two simultaneous romantic relationships, makes new friends, and establishes a life in a new country. 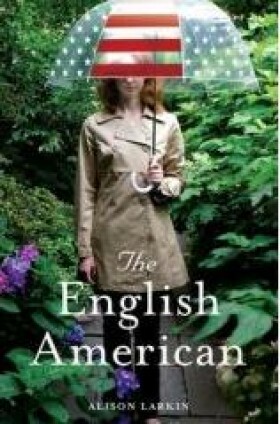 The English American abounds with complex issues like identity, loyalty, guilt, love, loss, and self-discovery. Throughout the novel though, Larkin never gets bogged down in sorting through these. Her plot moves fluidly and organically, and Pippas wise and sparklingly funny voice keeps her reader engaged and urgently turning pages. No one is a villain here; every character manages to be compelling and confounding. At its heart, The English American is a story about how to unify and live your life. Pippa must learn about her origins from her first parents, as well as more deeply consider the unconditional love of the parents who raised her, before she can find her true path. This is a necessary novel about adoption, but also a beautiful novel about growing up; about coming to terms with the fact that, while the people and events that brought us to life and formed us matter profoundly and inform everything else, we each have our own private story to discover and breathe into life. Violeta Garcia-Mendoza is a Spanish-American poet and writer living in Pennsylvania . 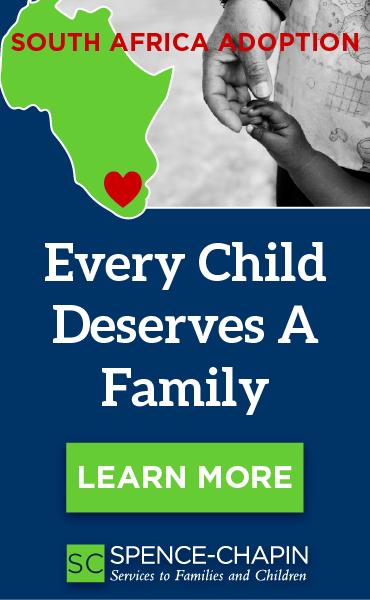 She and her husband joyfully completed their family through three Guatemalan adoptions. You can read more of her work at Voices of Adoption, as well as at her website, www.TurnPeoplePurple.com.